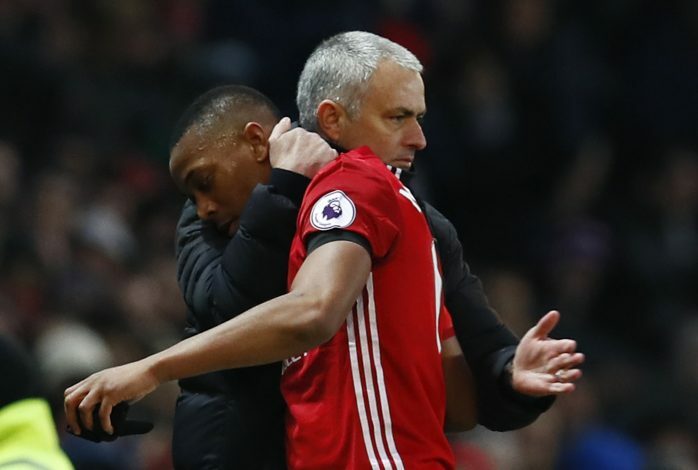 Manchester United boss Jose Mourinho has revealed that it was the hard, silent work in training that convinced him to give Anthony Martial his chance against Watford. The 21-year-old French attacker took the opportunity perfectly in a performance that may well revive his career at Old Trafford. He had netted only two league goals before the 2-0 win over Watford that extended Manchester United’s unbeaten run to 16 league games, but the way Martial scored the third, beating Heurelho Gomes at the near post, definitely suggests Mourinho may think once again before scrapping him in the summer. “Martial deserves the chance,” said Mourinho. “He has worked harder than ever in the last two weeks and in the way I like – silent but hard. The Anthony Martial I like is the one I saw in the last two weeks of training. I still think he needs a bit of confidence. This was certainly the perfect response to weeks of speculation about Anthony Martial’s future, starting in Premier League for the first time since January 15. Against Watford, he consistently raced past several players on the dribble, combined brilliantly with Mata for United’s opening goal, and then broke at an amazing speed to strike home the decisive second. His standing ovation at the time of substitution was fully deserved.